Close to all aatractions, great parking,great ameneties. 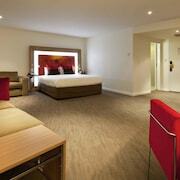 The Metropole has a lot of character and charm. 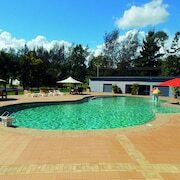 There’s lounge rooms, a games room and library for guests to use. Our family enjoyed playing board games and doing puzzles in the library after a busy day exploring Katoomba. 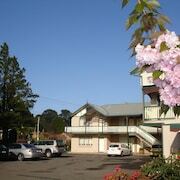 Which hotels are closest to the Blue Mountains airport? 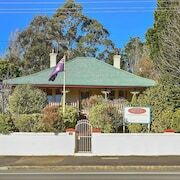 Where to stay near top Blue Mountains attractions? What kind of hotels are in Blue Mountains? 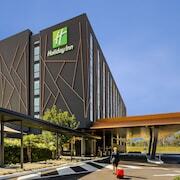 Which hotel chains are in Blue Mountains? Positioned to the west of the sprawling and vibrant metropolitan region that is Sydney, Blue Mountains, NSW is one of the most accessible areas of natural land in New South Wales. Known throughout the region for its unique scenery, cultural heritage, and otherworldly tranquility, the Blue Mountains region is quickly becoming one of the top holiday destinations throughout Australia. Spend your days exploring the majestic Jamison Valley or exploring one of the many cities scattered throughout the region, such as the culturally vibrant city of Katoomba. Regardless of why you wish to visit this brilliant and inspired region of Australia, you are sure to have a memorable holiday. 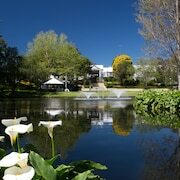 The Blue Mountains region is filled with a wide array of hotel offerings. Whether you are looking for cottages, cabins, hotels or all-inclusive resorts, there'sBlue Mountains accommodation for every type of traveller. 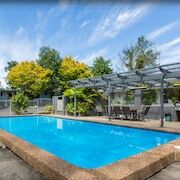 The most effective way to locate your ideal hotel is right here at Expedia.com.au to find the accommodation just for you. 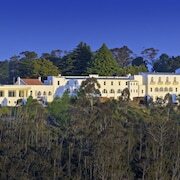 You can easily filterBlue Mountains hotels and resorts based upon location, brand, class rating, and more. 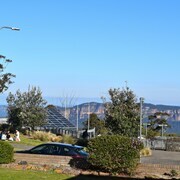 The natural beauty of the Blue Mountains is alluring, but travellers are urged to use caution during their exploration. Whether you're taking a well-marked hiking trail or renting a rugged terrain vehicle, always be on the lookout for danger and inform your hotel about where you plan to go. If you’re venturing out into the bush, grab a free personal locator beacon from the local police stations, such as those offered by the Katoomba Police. Although many of the cities sprinkled throughout the Blue Mountains offer an endless array of activities and adventures, the region also allows you to reconnect with majestic natural surroundings. Bring hiking boots if you plan to visit the Giant Stairway or National Pass Trail. Take a Leap Into the Unknown – Book Your Blue Mountains Holiday Today! 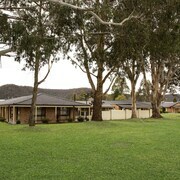 Whether you're looking for Blue Mountains luxury accommodation or a more cost-effective room, Expedia.com.au offers unique deals and specials on all types of hotels. Have a large family or wish to bring your family pet? 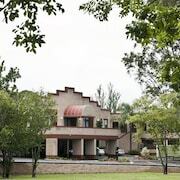 With a plethora of Blue Mountains pet-friendly accommodation options, locating the best hotel for you has never been easier. 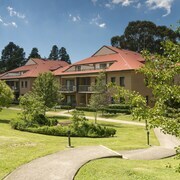 Reserve your Blue Mountains holiday with confidence when you book here on Expedia.com.au today. 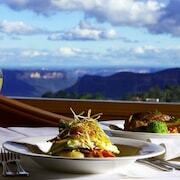 What are the most popular hotels in Blue Mountains? 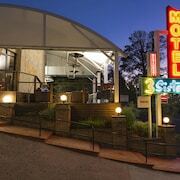 Are there hotels in cities near Blue Mountains? 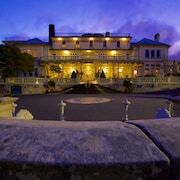 Explore Blue Mountains with Expedia.com.au’s Travel Guides to find the best flights, cars, holiday packages and more!